Our two children's worship services last the full hour of worship. All children must be checked-in prior to the service. Parents who want their children to attend the first part of the worship services can check their children in downstairs in rooms 108 and 111 during the Hymn of Preparation. 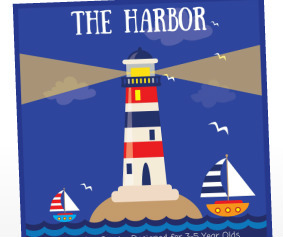 THE HARBOR is a worship service designed for 3-5 year olds. Harbor Helpers will teach children the Bible using hands-on manipulatives. They will also participate in arts and crafts, music, and mission projects. This will take place from 10:45 AM until the worship service is dismissed. Check-in will begin at 10:30 AM in 111. 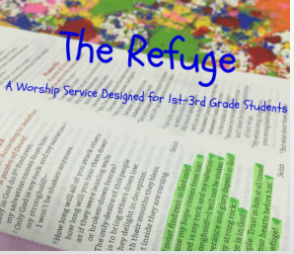 THE REFUGE is a worship service designed for 1st - 3rd grade students. Students will participate in a worship service very similar to adults. The worship service will include songs, communion once a month, Bible studies/messages, and mission projects. This will take place from 10:45 AM until the worship service is dismissed. Check-in will begin at 10:30 AM in room 108.